Find yourself asking ‘what’s for dinner’ every day? Not enough hours in the day to plan, shop and prepare dinner but still enjoy cooking? Tired of eating the same meals every week? 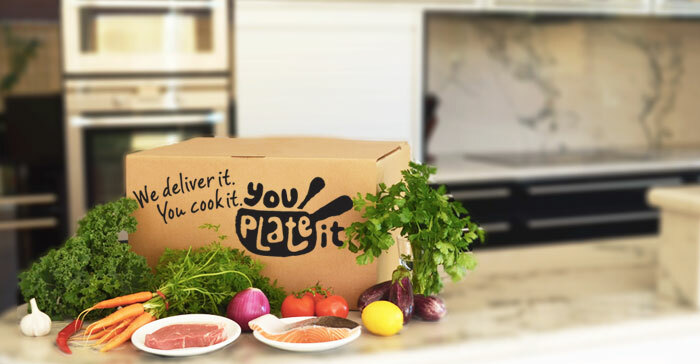 You Plate It, plans, shops, measures and delivers fresh, locally sourced dinner ingredients direct to your door for you to cook and enjoy a variety of tasty home cooked meals. 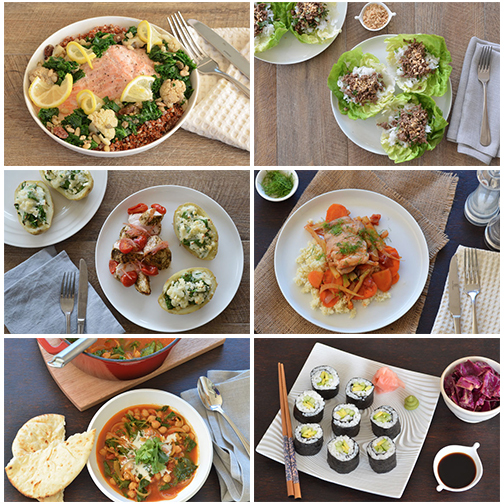 You Plate It Plan – Each week we plan six new restaurant quality recipes that are easy and quick to prepare at home. You choose which meals you want to ensure you’re eating meals you enjoy. You Plate It Shop – We source ingredients from leading Perth suppliers such as Mondo’s and Partridges so you get the freshest, highest quality produce available. You Plate It Measure – We carefully hand pick and measure the ingredients you need for your recipe, so you only pay for what you need. Less mess. Less mistakes. Less waste. You Plate It Deliver – Each Sunday we hand pack everything into bio-degradable, insulated packaging and deliver it direct to your door. You Cook – All that is left to do is store and refrigerate the ingredients until you are ready to follow the simple step-by-step recipe cards and create delicious, healthy, home cooked meals. Delivering across Perth from Joondalup in the north to Spearwood in the south with prices as low as $11 per meal. You Plate It is a weekly subscription with no long-term commitments, subscriptions can be cancelled or restarted at any time. Customers can choose between two or four meals per week and there are options for couples, families and vegetarians. There’s even a trial box for those that want to test it out first. Who is behind the You Plate It concept? Paul and Mark are two mates who are passionate about food and believe cooking a delicious dinner at home should be easy. They met at work back in 2007 but after several years in the corporate world wanted a change and to do something they were genuinely interested in. Paul is a keen cook who loves to experiment in the kitchen and Mark is quite the foodie but tended to leave the cooking to others until he signed himself up to a You Plate It plan. How did the idea for You Plate It come to be? We’d often get to the end of the day and be asking ourselves ‘ok, what are we going to have for dinner?’ We’d then search online for some recipe inspiration, rush to the shops, get home and do all the food preparation before getting to the task we actually enjoyed, the cooking. Sometimes there just wasn’t enough hours in the day to juggle everything and we found ourselves making food choices that weren’t always healthy. What if there’s a way to enable busy professionals and time poor families to easily create varied, healthy home cooked meals. A way to outsource the time and hassle of planning meals, going to the shops and measuring ingredients. So here you have You Plate It. Who is You Plate It suited to? You Plate It aims to help busy professionals and time poor families eat healthy home cooked meals without the usual hassle that goes with planning weekly meals, going to the shops, finding ingredients and preparing meals. It’s also for people looking for a little variety and inspiration with their weekly menus, those that enjoy cooking or who are looking to get into cooking more. The selection of dishes always means there is a vegetarian option as well. What makes You Plate It unique? You Plate It, take the hassle out of dinner by planning menus, shopping for you, measuring the ingredients and delivering straight to the door. The only thing left to do is follow simple step by step menu cards and cook delicious home cooked meals. You Plate It is unique in a number of ways. 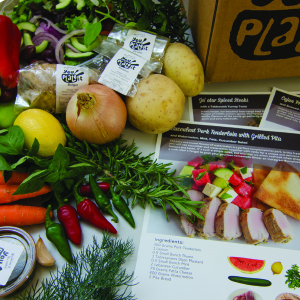 You Plate It develop six recipes each week for customers to choose from, so they’ll always get something they like. There’s also options with the two meal and four meals packs for families, couples and vegetarians. We’re also big believers that Western Australia has incredible local produce and where possible we aim to source seasonal ingredients locally.